He's the only candidate for the Labour Party Deputy Leadership who isn't a government minister but Dagenham MP Jon Cruddas has been making a big impact since he launched his campaign. Why are you standing for the deputy leadership? I’m standing because we have got to change the party and the country. We have made some really great strides since 1997. It’s a source of real pride that I helped out with some of those changes while in Downing Street, and since 2001 as a Labour MP. But as we saw from the Swedish election, a progressive government can never rest on its laurels. We have to rebuild the party at the grassroots. That means improving our organisation and tactics – but it also means recognising there need to be policy changes too. For example, we can’t improve social housing simply by twisting the arms of council tenants to accept stock transfers. Housing need, whether it’s social provision or just affordable housing, is now a major problem both in working class communities like my constituency and for many young middle class people. Tackling that is an example of how we can rebuild the coalition that we need to stay in power, while creating a fair and just society. 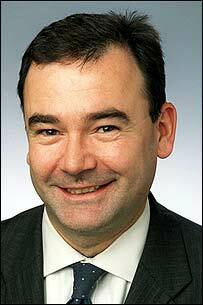 You’ve said you want to be deputy leader but not deputy prime minister, why is this? That one has caught people’s attention hasn’t it! A journalist told me they thought my proposal to go back to having a full time deputy leader, as we have had in the past, was “good positioning”. It is actually just what I happen to think! I do believe that the state of local parties – and the state of the national party too – means that we need a full time deputy leader in place. John Prescott has done a great job handling both positions, and it was the right thing to do at the time, but times have changed. I want to focus 100% on the party, standing up for members, trade unionists, and rebuilding the party in local communities. It would be terrible if this election became a beauty contest between cabinet ministers over who gets to be Deputy Prime Minister. Being Deputy Leader should be honour enough. You’re the least well known candidate, do you really think you can win? Yes I do. I know I can win. I think that not being well known is an advantage – I can stand on the strength of ideas and I can fight a different kind of campaign, led from the bottom up rather than being a fan club for the person at the top. I have been amazed at just how many people across the country have been in touch to say how much they think we need to change the party – I always knew people didn’t just want to argue over who’d have the keys to Dorneywood, but are actually really serious about making the changes that are needed. Don’t get me wrong – this campaign isn’t going to be a walk in the park: I can only win if everyone who wants change gets involved, but if people mobilise, I will win. You used to work at Downing Street, does this mean you’re just another Blairite? I did work for Downing Street – I don’t think that’s something anyone should be ashamed of! The Prime Minister has had a rough time of it lately but that doesn’t mean anyone should be embarrassed by our many achievements since 1997. I just don’t think we can pretend that more – much more – doesn’t need to be done. It does. We must build a radical policy agenda to confront the sense of palpable insecurity in our communities - in terms of the environment, housing, debt, the ongoing race to the bottom of the labour market and the like. I think the fact that I have been very critical of the sort of ultra-Blairite agenda coming out over the last few years – on class, on privatisation, on top up fees – speaks for itself about where I come from politically, but I don’t think it is helpful to start slagging off “Blairites” or anyone else. We need to create a broader church party, where everyone is welcome to the debate, not an election that means one faction takes over from another. How should Labour react to the challenge posed by David Cameron? Challenge him on policy. I am sick and tired of seeing him get away with vacuous statements in favour of the environment or social responsibility, and then have his MPs vote against any progressive measure in Parliament. We have to take on the Tories – not let them get away with having no policies up front. We don’t have to wait for their policy commissions to know what these people would do all over again given the chance - although the tax leak with its £21billion in cuts should be a warning to us all. So let’s have local parties raising these issues now, even if the media strategy in parliament needs to be carefully prepared. Considering that single-interest group membership and activity is growing, while Party membership has halved over the past decade, how do you plan to re-engage people (particularly young people) with the party political process? You’re totally right that this is a big problem. One thing that really annoys me is that politicians complain about young people being apathetic. That’s rubbish. Young people are just as political as ever before. It’s just that they aren’t joining Labour. Why is it that young people join Amnesty or Friends of the Earth or War on Want, but not the Labour Party? These organisations all have progressive values, but it is the Labour Party, by governing the country, that can put those progressive values into action. There are some things I think we need to introduce – public funding for political youth organisations in local communities to help build activism, for example – but to be honest, I want to hear from young people themselves before coming out with a load of ideas. More generally, I think that the answer isn’t just in better organisational techniques, but in making people feel that the party shares their values, and that by joining they will be valued as members and have a real say. Can you tell us what you think of the war on Iraq? Well, I voted for it. Not the most popular position to have, I know. In fact, I was the only member of my family to back it, and it was a tough decision. I voted for it mainly because I wanted us to get rid of Saddam Hussein and saw it as part of an anti-totalitarian struggle. As with Sierra Leone and with Yugoslavia, I thought that being part of an intervention to defend human rights and destroy weapons of mass destruction was the right thing to do. It turns out not to have worked that way. The planning was clearly totally bungled and the neo-liberal policies imposed on Iraq by the US after the war have been a disaster. We need to find a way of ending the occupation and bringing the troops home without Iraq descending even further into chaos. I also think that the way the intelligence was manipulated before the war started was unforgivable. The government needs to admit openly the mistakes it made, and apologise. Looking forward, there can be no question of supporting Bush in any similar interventions. Do you support calls from Compass youth and others to make the structures of Young Labour more open and democratic? Yes. Simple as that. This debate must be led by young members themselves, but I have actually followed it closely, and although they aren’t the only changes that need to come about, having committees and executives elected by as broad a range of the membership as possible is obviously the best thing for Young Labour. There’s a view in some quarters that if we become a more democratic party, then the Trots and assorted other baddies will take over. Talk about generals fighting the last war. The problem we face isn’t a bunch of Trots joining the party – it is having nobody join at all! Young people – all people actually – won’t settle for being campaign fodder anymore: “deliver these leaflets and shut up”. Times have changed, and so must Young Labour. Do you support Compass youth’s campaign for young people to be entitled to the same minimum wage level as over 21s? Yes. And I argued against the age discrimination rates when I was in Downing Street. 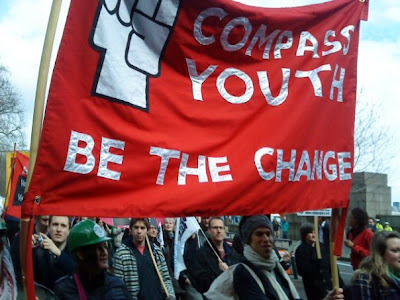 Young members of the TUC have also run strong campaigns against the age rates and I am really pleased to see Compass get involved in this too. It is just wrong to have different rates for people doing the same job – I had thought we settled that debate within the movement decades ago, but apparently not. Like Ruth Kelly, you are a Catholic - and some people have suggested you are not progressive enough on important issues like gay rights and abortion. What do you think of these issues? I sometimes feel like starting these sorts of responses with “my name is Jon Cruddas and I am a Roman Catholic!” It’s not something I particularly feel should be a big issue. I am more than happy to debate the real issues though. I don’t know what progressive “enough” means, but I can give the facts from my votes in Parliament. Since 2001, there have been 14 votes in the Commons to extend equal rights for gay people. I made sure I attended every single one, and I voted in favour of extending rights for gay people in every vote. On abortion, there is a vote on Tuesday next week [31st October] in Parliament. A Tory MP has proposed strict restrictions on a woman’s access to abortion services. I will vote against that Bill on Tuesday and would vote the same way on similar legislation in future. As Bill Clinton put it, I think abortion should be safe, legal but rare. So Jon, do you believe in a woman's right to choose? What’s your response to Gordon Brown’s ideas for promoting Britishness? And can we in the Labour Party use these ideas to take the politics of national identity away from the far-right? Gordon Brown has had lots of really interesting things to say on this over the last few months. I especially thought his Donald Dewar memorial speech a couple of weeks ago was fascinating. To be honest with you, I am not sure how far we can go with it – not because I disagree or agree with Brown – just because I haven’t given it a lot of thought. Maybe you’ll have to come back to me on that for a longer answer. I can give you a longer answer on the BNP because that is a campaign I have given a lot of thought, shoe leather and door knocking to. I don’t actually think the BNP’s main line of attack is national identity. They have certainly been pushing the anti-Muslim line over the last few years, but they have tried to focus hard on bread and butter issues like housing and jobs. In areas like mine in Dagenham, they have focused really hard on housing. That’s an issue we can do something about – we are in government after all. With the BNP, we have to challenge their racism, their fascism. We must improve our campaigning techniques and have strong local parties that are firmly rooted in the local community, so that people feel we are listening and representing them. But we also have to tackle the material conditions that lead to some people being tempted to vote for them. What can people do to help your campaign? You can get in touch through my website – www.joncruddas.org.uk – if you want to join the campaign. I want to set up a network of people around the country who are involved, not just in campaigning for me, but in the debate we need to have about the future of the party. We will be relying on small donations from supporters for a lot of our campaigning activities, so you can donate through the website. But the key thing is to get involved. I’m looking forward to hearing from you. Good interview, demonstrates why he's my current no. 1 choice for Deputy, if only we get light on what he believes the way forward is for the economy and the social welfare system. I agree, nightowl. Jon's the best! Thanks for that Jon and for the leaflet I received today. How come i've not heard of you before? Does that not answer the question about your position as a Blairite even more clearly? Love the video on your website too. Everyone should see it.